Sabrina Butler | Free Rodney Reed! 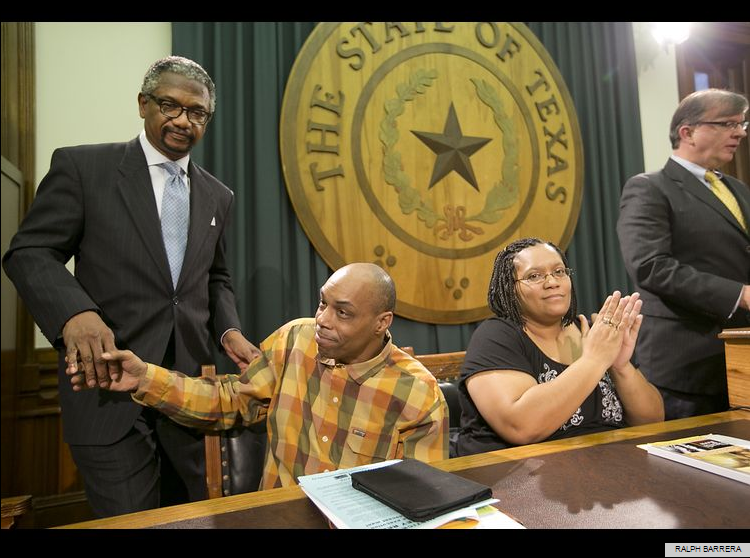 On Tuesday, March 3, a group of death row exonerees called on Texas lawmakers to abolish the death penalty. Witness to Innocence members Ron Keine and Sabrina Butler were joined by Texas State Rep. Harold Dutton (D-Houston), family members and friends of death row prisoners, and Mark Clements, board member of the Campaign to End the Death Penalty and one of Rodney Reed’s fiercest advocates. The group lobbied Texas lawmakers to approve legislation that would abolish the death penalty and prohibit the “law of parties” from being used in capital cases. This controversial law, unique to Texas in its application, allows people convicted of aiding or abetting in a murder committed by another person to be sentenced to death. 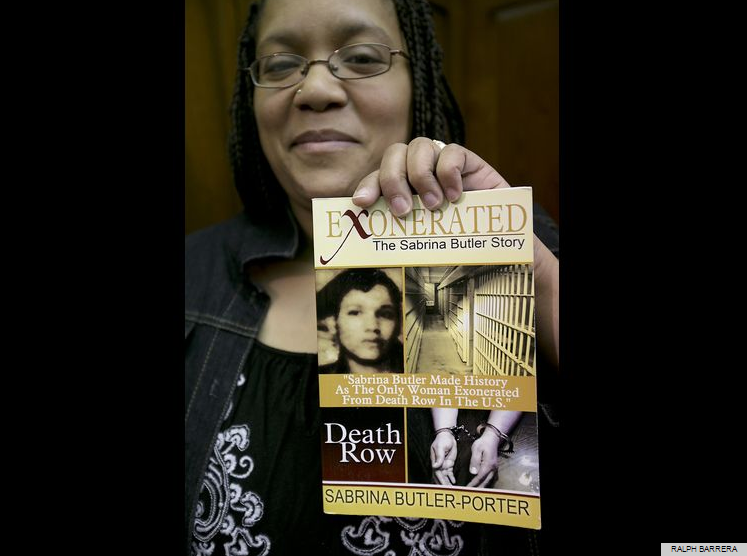 Sabrina Butler is the first and only woman to be exonerated from death row. Convicted when she was just 17 years old, she served over six years in prison in Mississippi before being cleared of all wrong doing. Despite being the only woman in the U.S. exonerated after being sentenced to death, Butler’s life will never be the same. She has trouble finding employment, because she must still admit her conviction on job applications. “That’s the part that makes me feel still like I’m in prison, because this will affect my life, not only my life, my children’s life,” Butler said. Texas State Rep. Harold shakes hands with Mark Clements at a press conference to show his support for abolition of the death penalty in Texas. Sabrina Butler looks on. Scott Cobb of the Texas Moratorium Network is at the podium. Photo by Ralph Barrera for the Austin American Statesman. Ron Keine, assistant director with Witness to Innocence, speaks in support of abolishing the death penalty at a press conference at the state Capitol on Tuesday, March 3, 2015. Photo by Ralph Barrera for the Austin American Statesman. Rep. Harold Dutton told the Dallas Morning News, “I don’t want the state executing people in my name. You can go all the way through the system and be factually innocent and end up on death row, which is evidence by some of the people here. How many people has Texas executed who might have been innocent?” The Dallas Morning News, whose editorial position has been firmly anti-death penalty since 2007, created this revealing graphic that, in their words, “gives a lot to chew on”. Texas has executed 521 men and women since capital punishment was reinstated in 1973. Mark Clements speaks in support of abolishing the death penalty. At left is Sabrina Butler, the only woman exonerated from death row. Photo by Ralph Barrera for the Austin American Statesman. 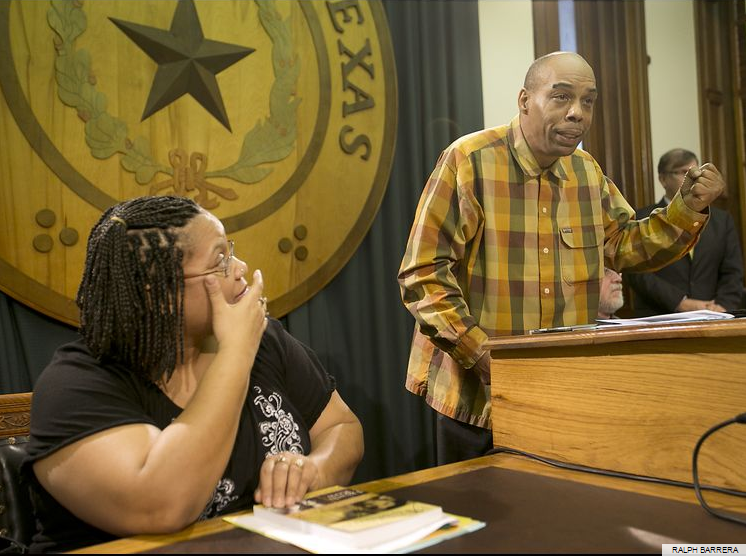 The Austin American Statesman posted a short video clip of Mark Clements, who was freed based on police misconduct after serving 28 years in prison. Mark attended the lobby day on behalf of Rodney Reed’s family. “Don’t reject these men and women [lobbying their representatives]. Give them their chance. Free Rodney Reed”. A photo gallery is available here. At the day’s news conference, Terri Been tearfully pleaded for her brother, Jeff Wood, to be removed from death row. Wood was convicted under the state’s law of parties for a killing committed by his partner in a 1996 robbery in Kerrville. In 2008, Wood, who was found not mentally fit to stand trial, won a stay from a federal judge just hours before his scheduled execution. He remains on death row. 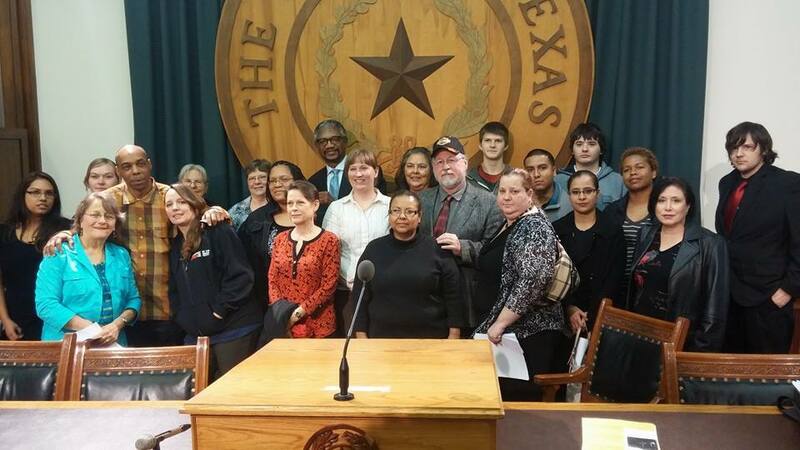 Organized by the Texas Moratorium Network, the “Day of Innocence” brought together exonerated death row prisoners, Rep. Harold Dutton, and friends and family members of men and women on Texas death row. Photo by Scott Cobb. 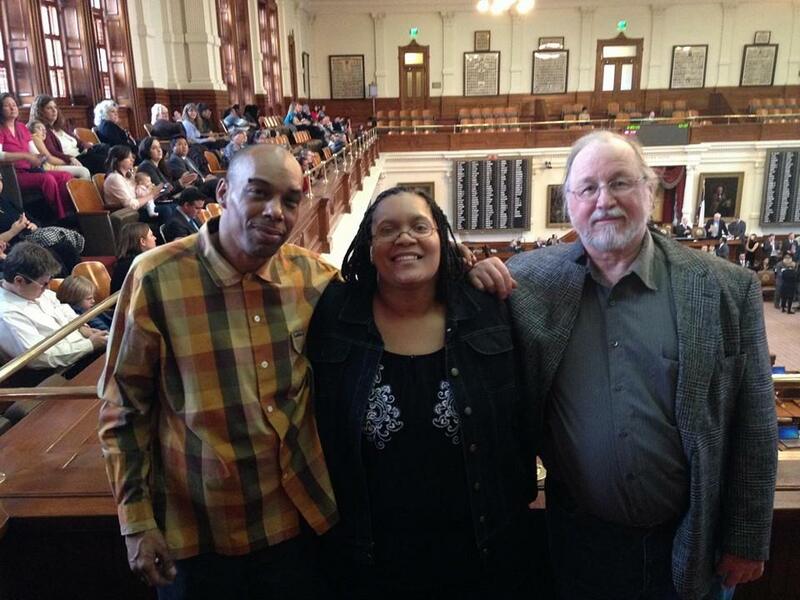 Mark Clements, Sabrina Butler, and Ron Keine stand in the House Chamber inside the Texas Capitol. Photo by Scott Cobb Sabrina Butler holds a copy of her life story after she spoke along with people with the Witness to Innocence in support of abolishing the death penalty at a Capitol press conference Tuesday, March 3, 2015. 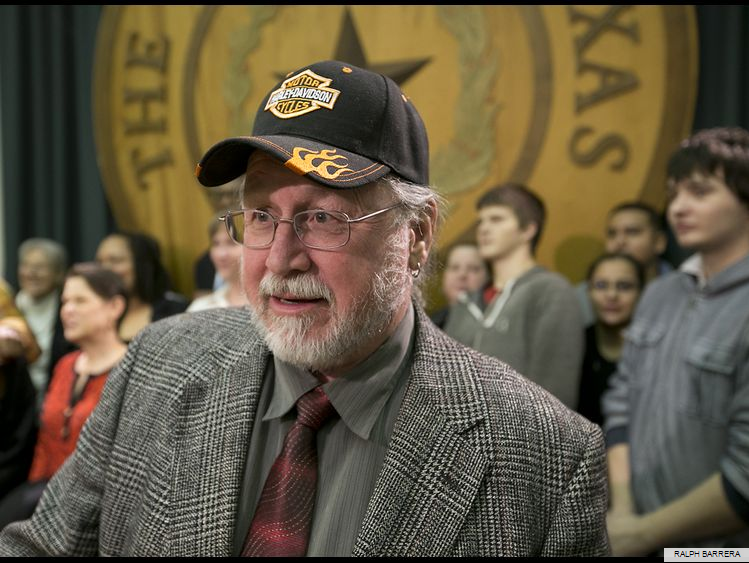 Photo by Ralph Barrera for the Austin American Statesman. This entry was posted in Death Penalty News and tagged Austin, Day of Innocence, Harold Dutton, Innocence, Justice4Rodney, Mark Clements, news coverage, Ron Keine, Sabrina Butler, Texas Capitol, Witness to Innocence on March 4, 2015 by justice4rodneyreed.